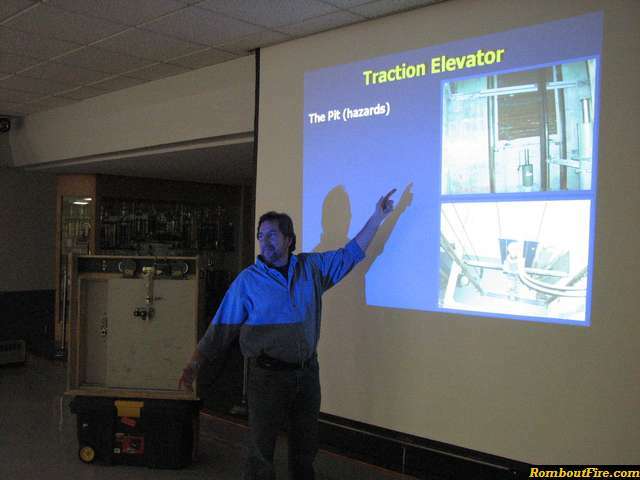 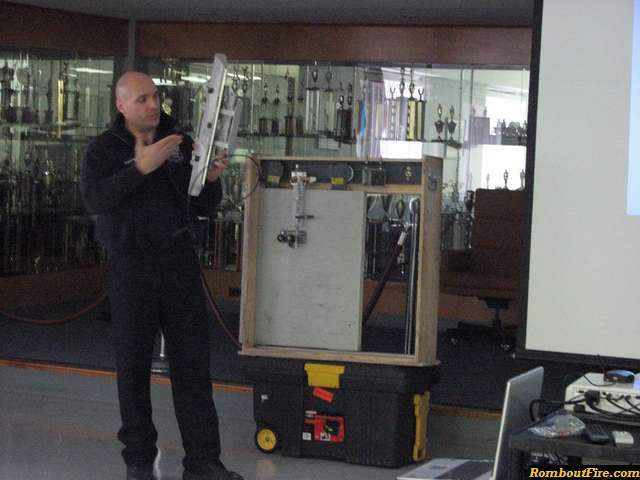 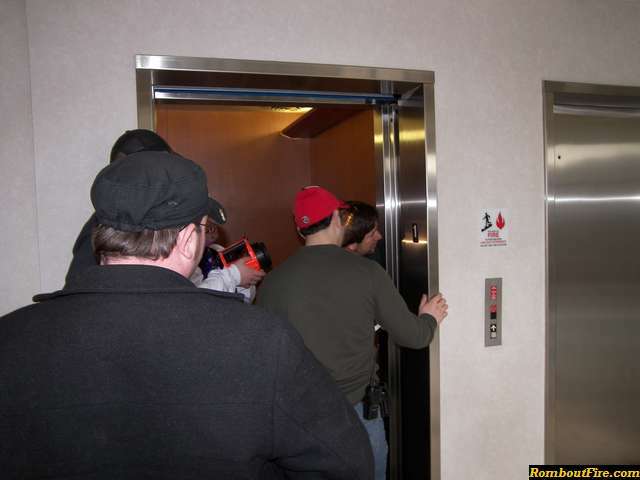 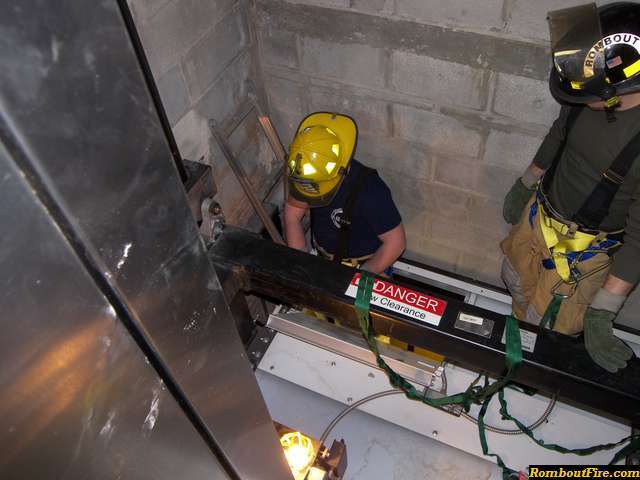 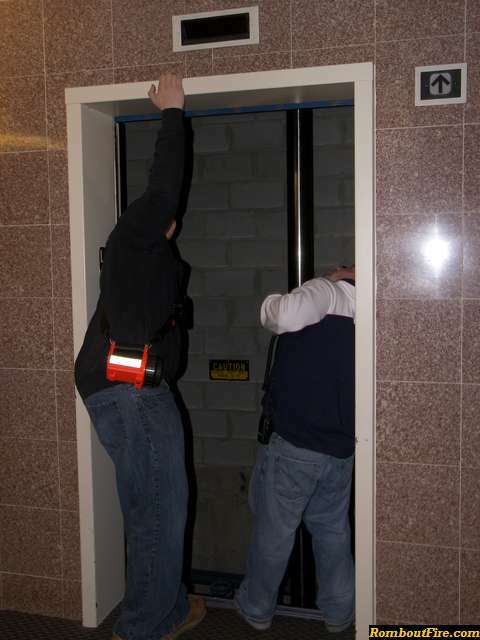 Fishkill, New York Members of the Rombout Fire Department recently completed a two day course on “Handling Elevator Emergencies”. 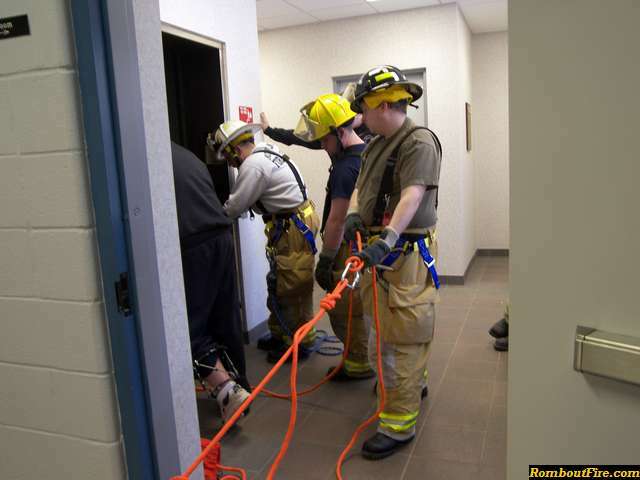 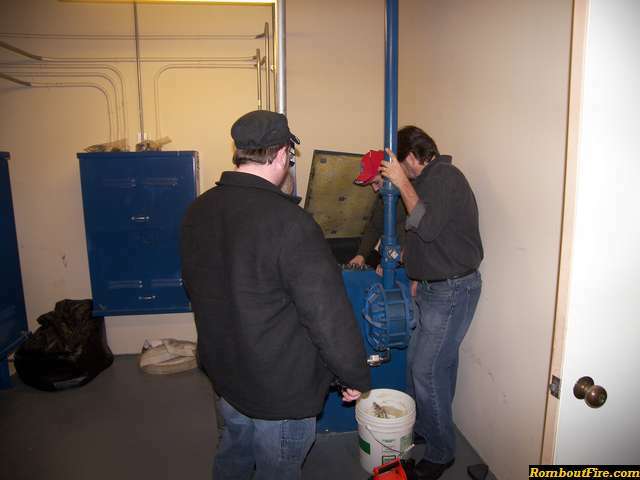 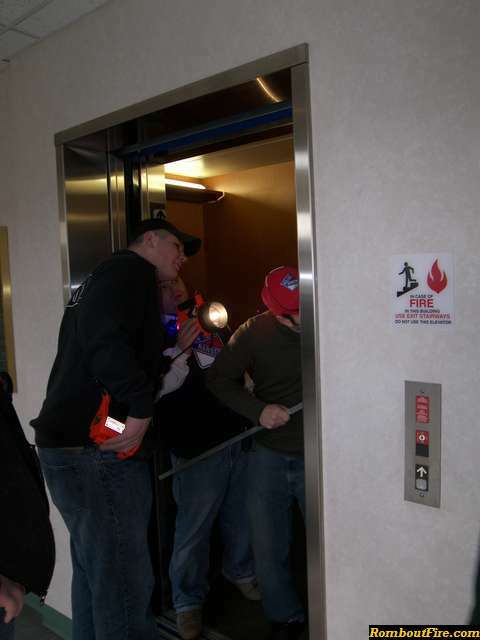 Firefighters learned about the normal operations of hydro and traction elevators, the safety hazards in and around the elevator car and the motor room, operations overrides, the tools of the trade needed, emergency procedures and lock-out/tag-out procedures. 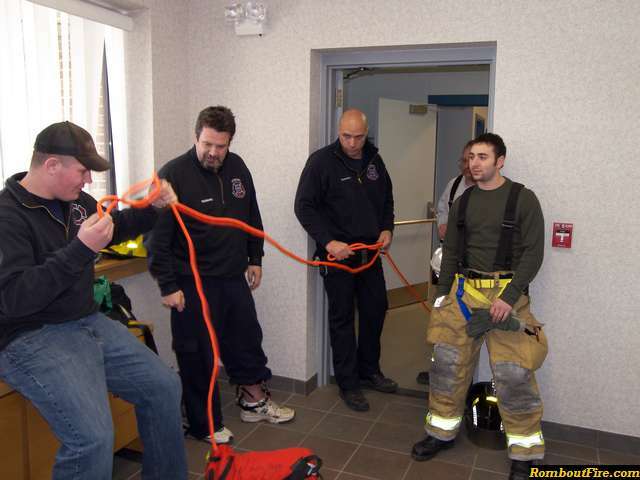 In addition to the lecture part of the class, firefighters were able to train and practice rescue techniques for the hands on part of the course. 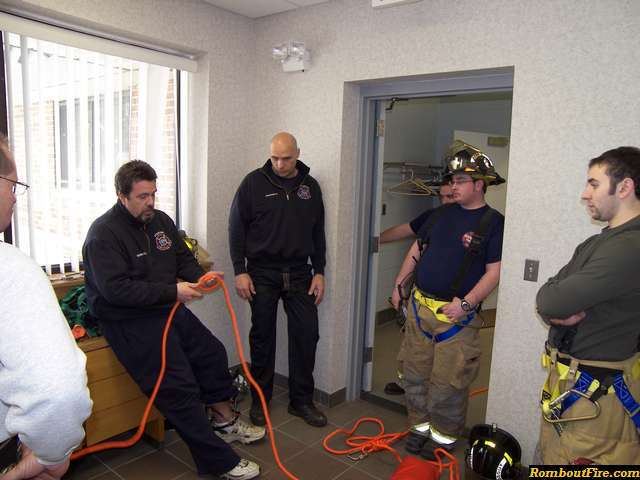 Part of the Rombout Fire District is located at the busy intersection of Route 9 and Interstate 84, which has attracted multi-story buildings. 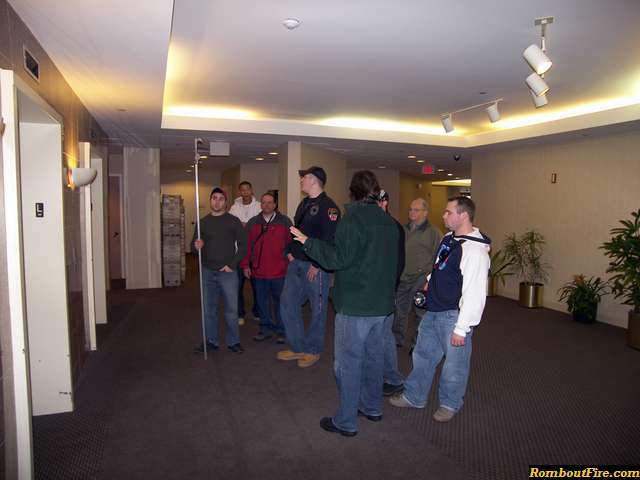 It includes several hotel chains and business housing medical offices and a college campus. 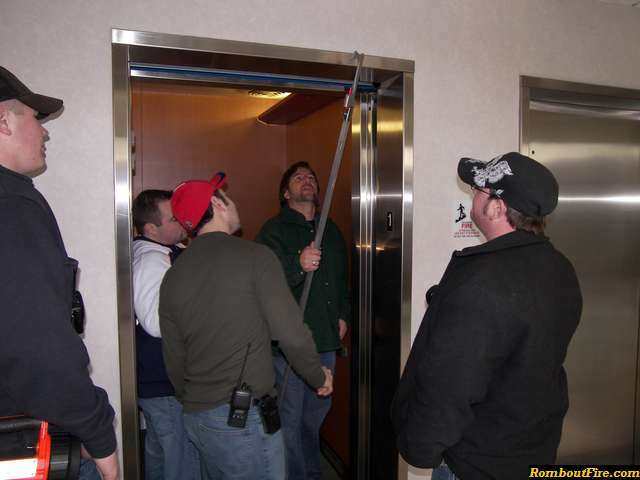 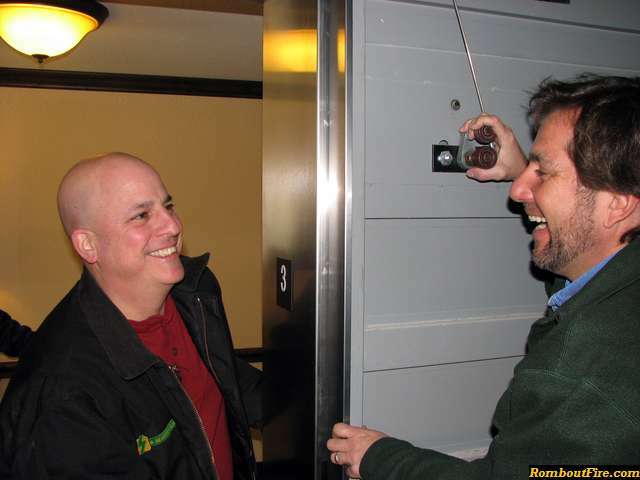 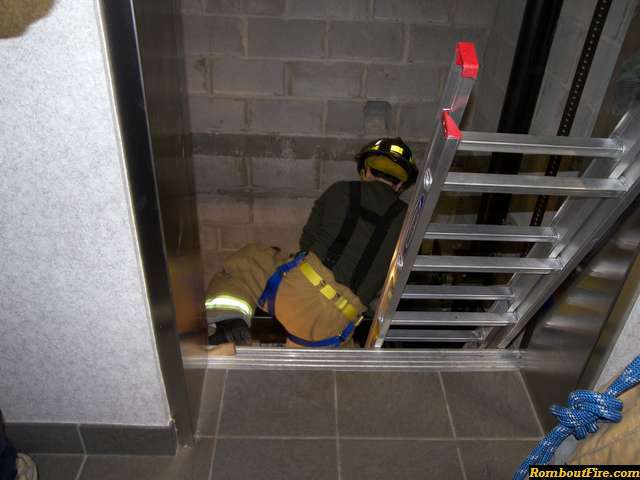 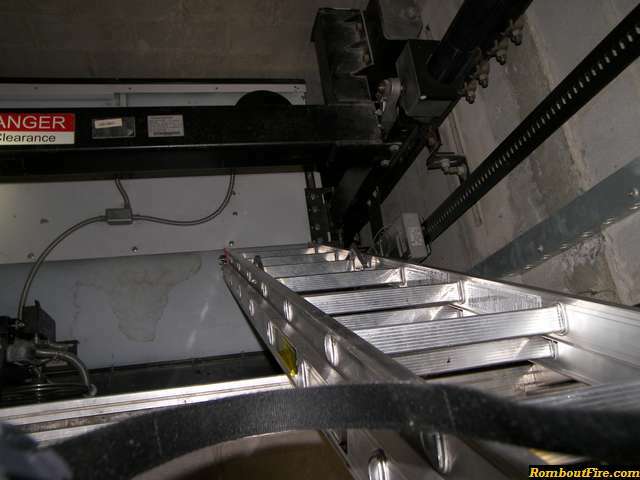 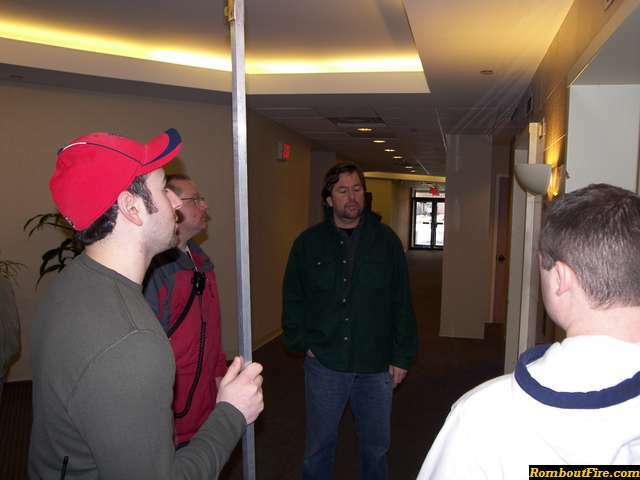 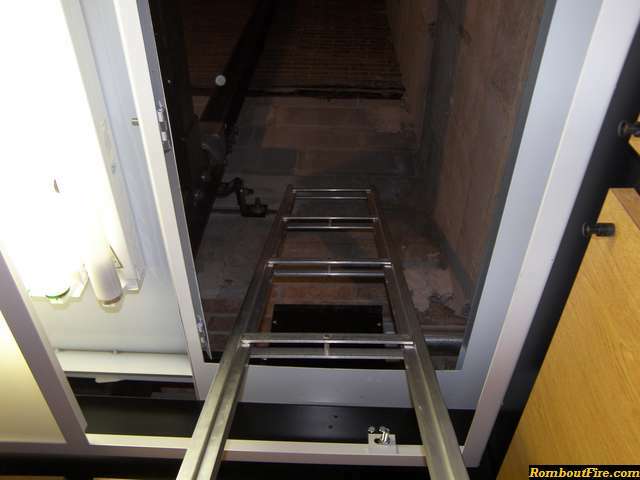 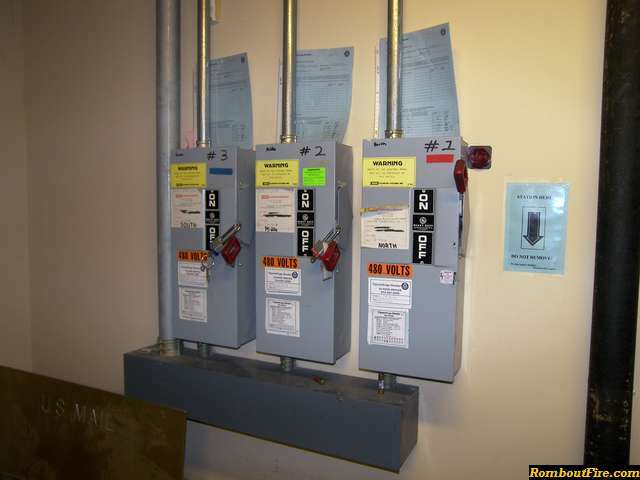 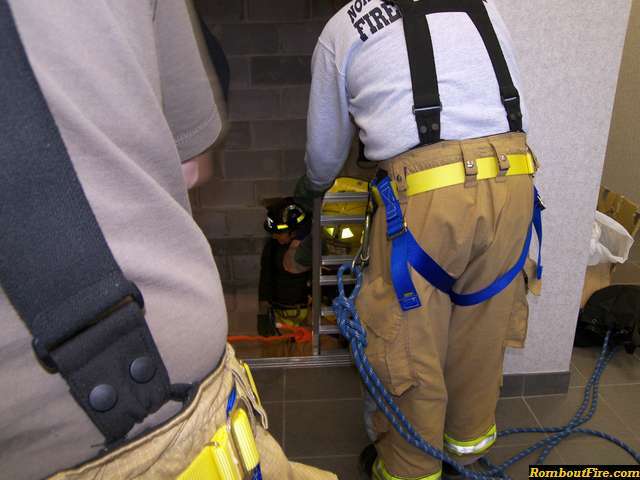 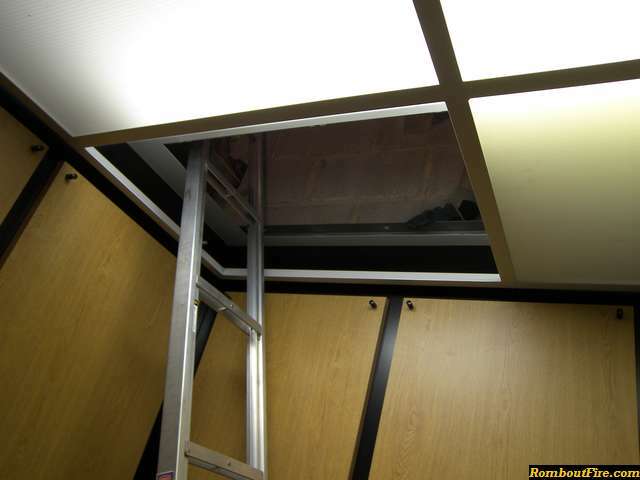 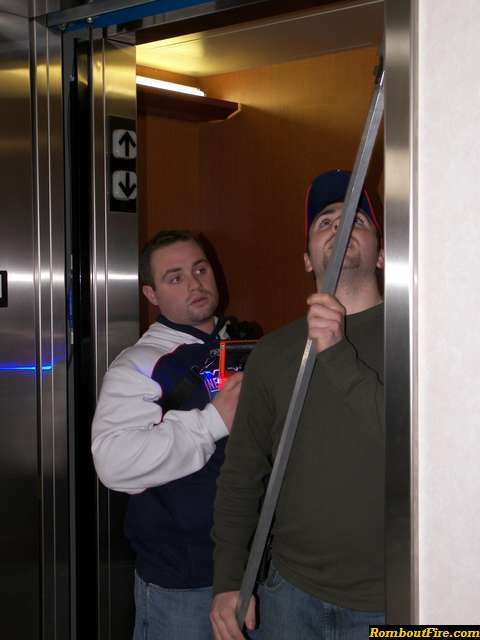 Hundreds of people a day use these buildings and Rombout has seen an increase of in elevator rescue calls, but most are caused by operator error or no one is found trapped upon arriving on the scene. 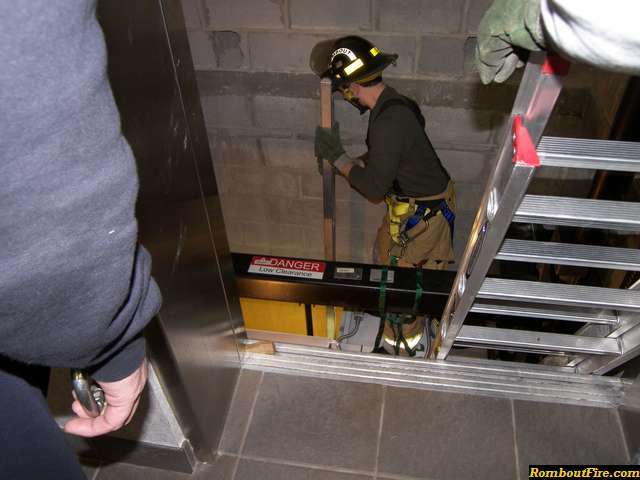 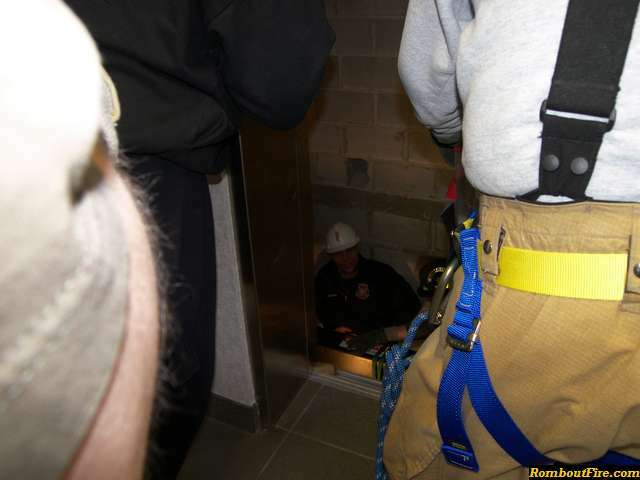 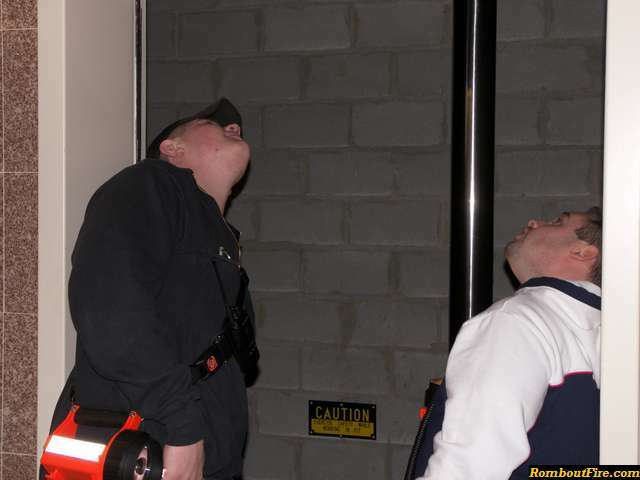 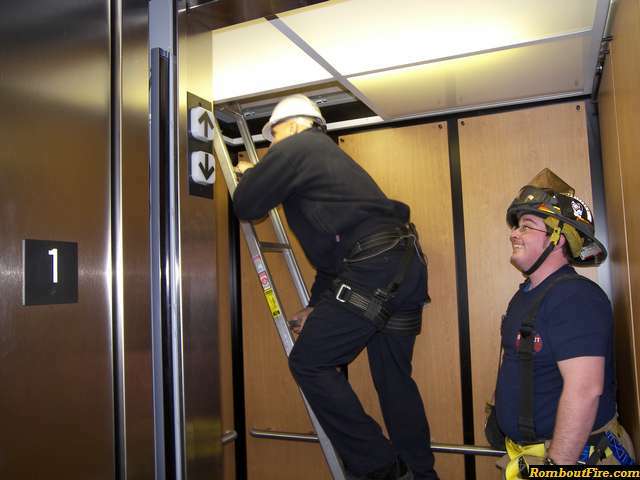 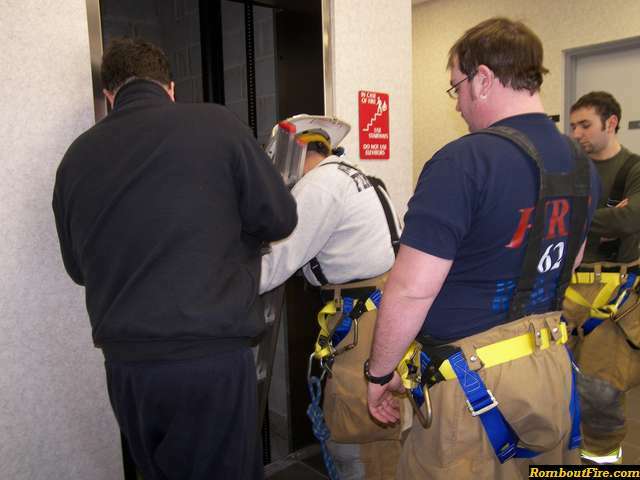 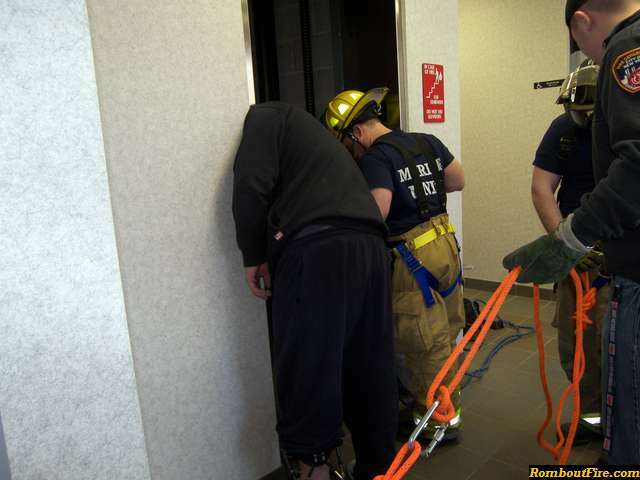 Up to now there has never been a major incident involving an elevator, but 13 Rombout firefighters are now much better prepared for any elevator emergency in the future. 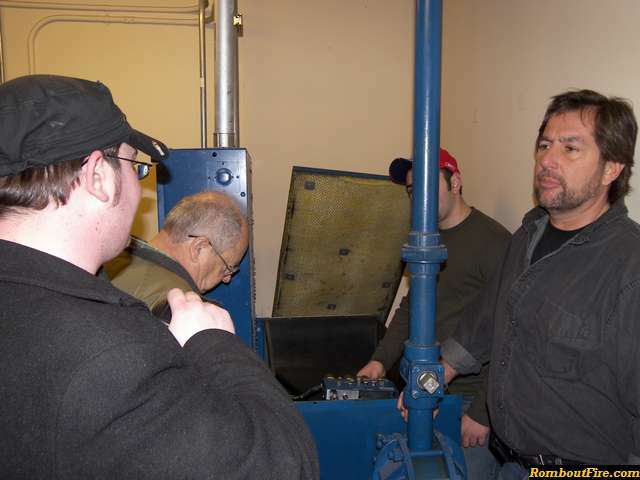 The instructors for the course were Michael Dragonetti and Andy Werkhoven. 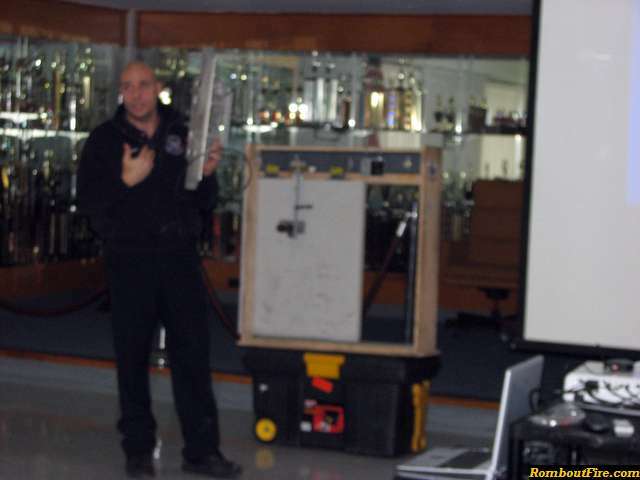 Michael Dragonetti is the president and founder of Dragon Rescue Management, a technical rescue training company. 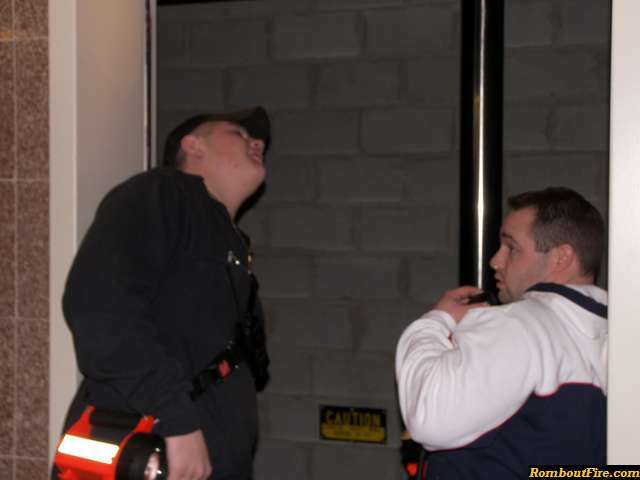 He is a 14-year veteran firefighter with the Stamford (CT) Fire-Rescue Department. 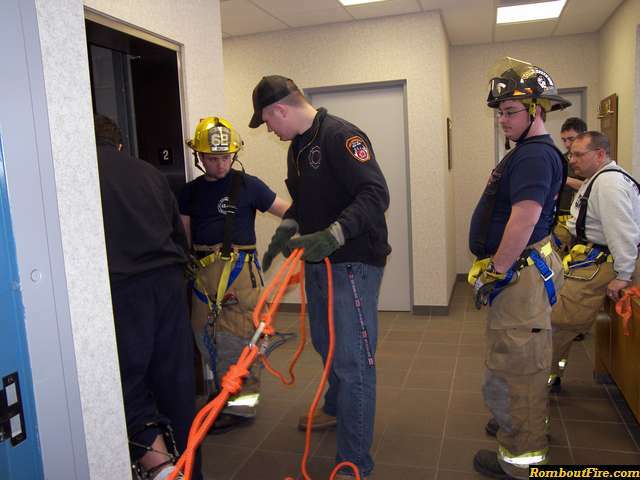 As a New York and Connecticut state-certified fire service instructor, he has instructed at the Fire Department of New York Technical Rescue School and Fire Department Instructors Conference. 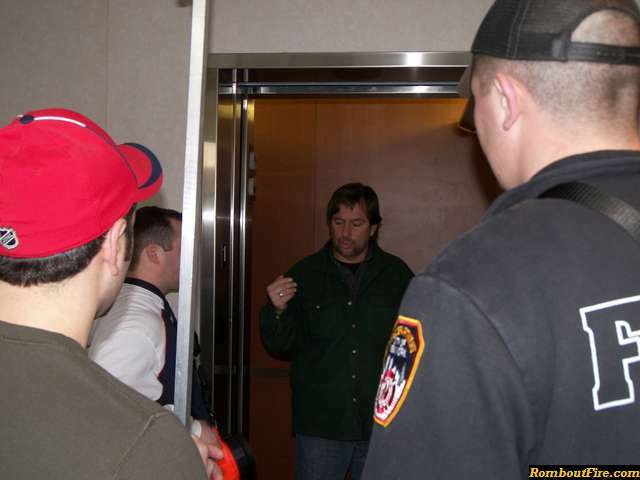 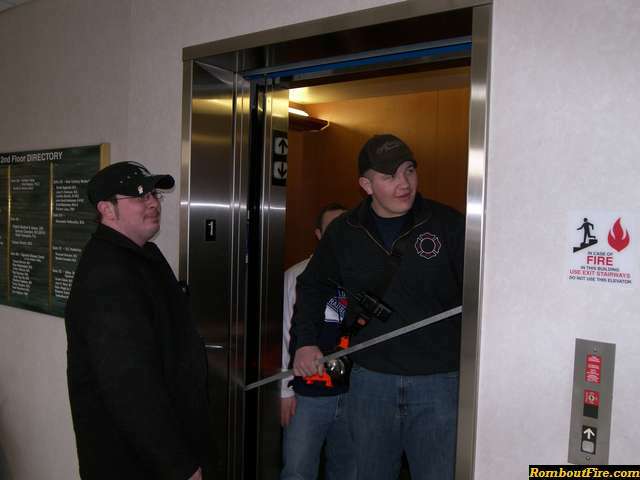 Prior to founding Dragon Rescue he had extensive experience in the New York City Metro area with elevators and escalators with one of the largest elevator companies in the world. 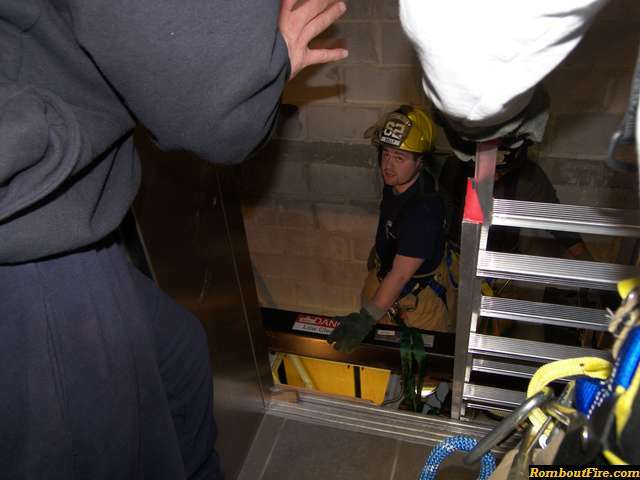 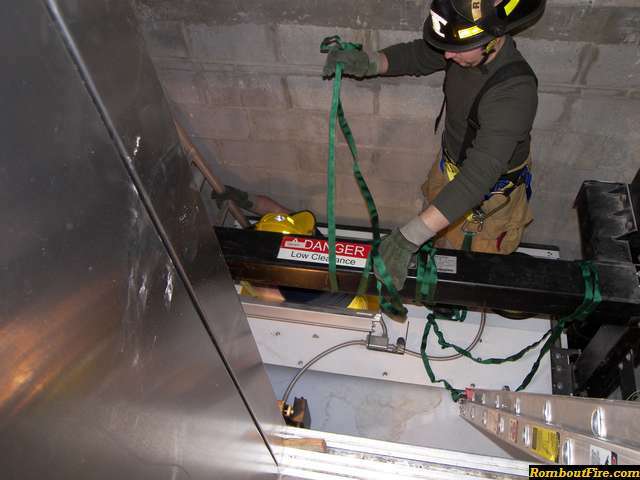 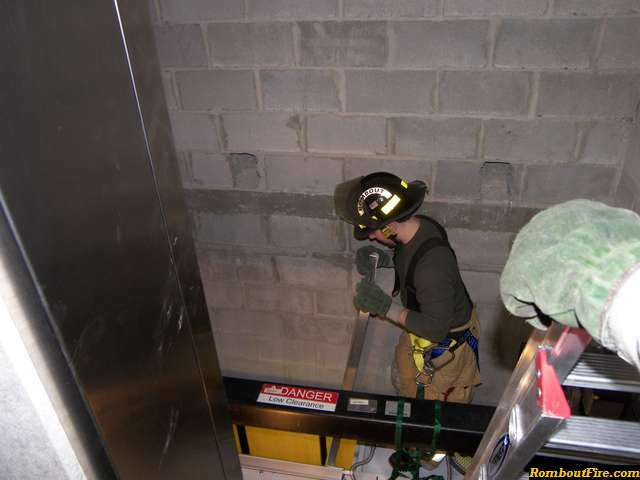 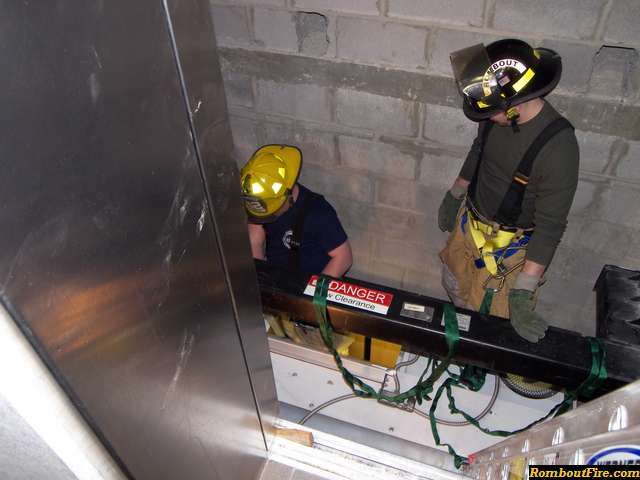 Andy Werkhoven is a New York State licensed Qualified Elevator Inspector and has presented courses at the FDNY Technical Rescue School and at the Fire Department Instructors Conference. 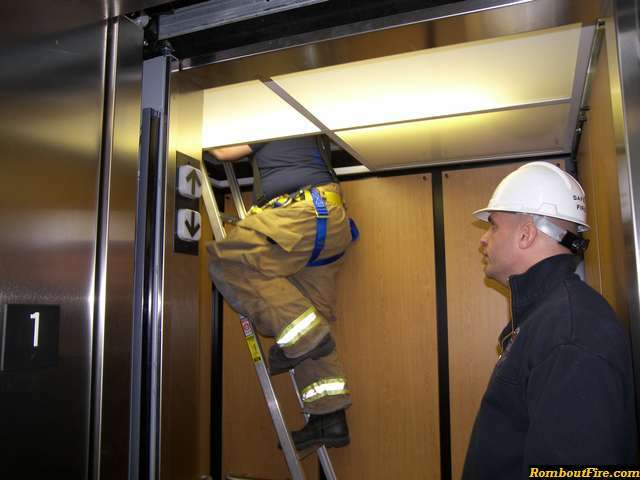 He is a New Installations Operations Manager with one of the largest elevator companies in the world. 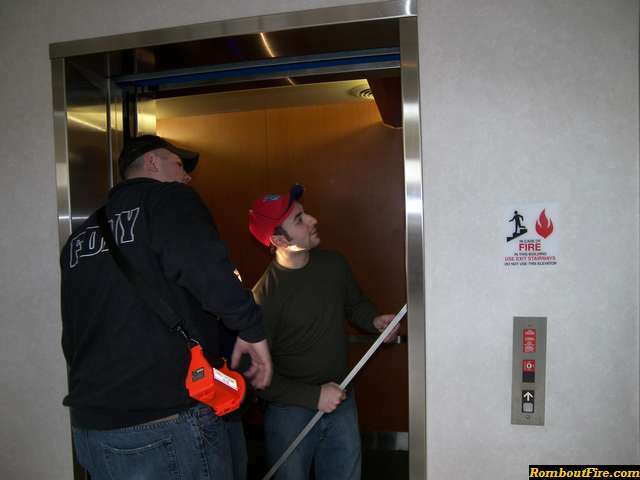 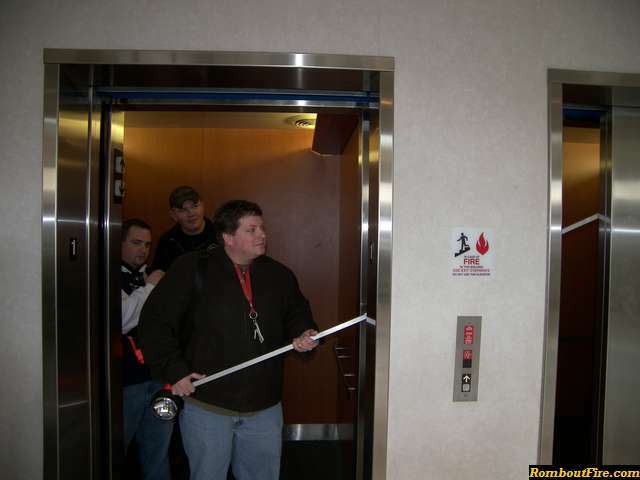 Andy has over 28 years of experience with elevators and escalators in the New York City Metro area and has been teaching Handling Elevator Emergencies since 1999.